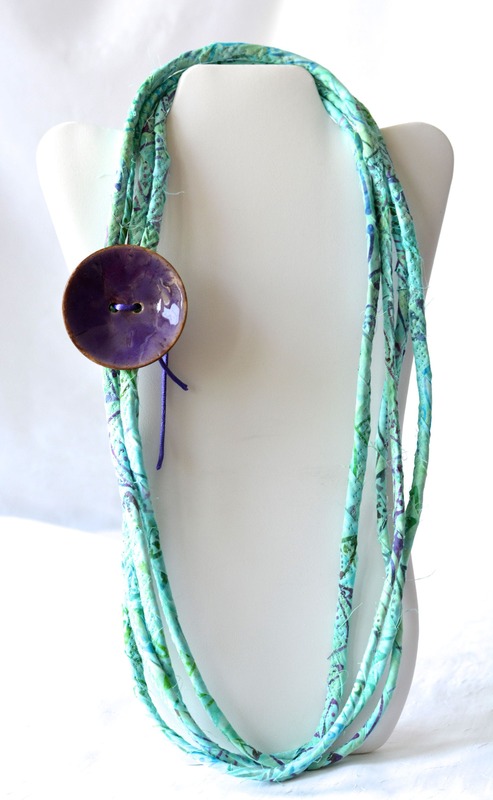 Turquoise Batik Infinity Wrap Neclace! 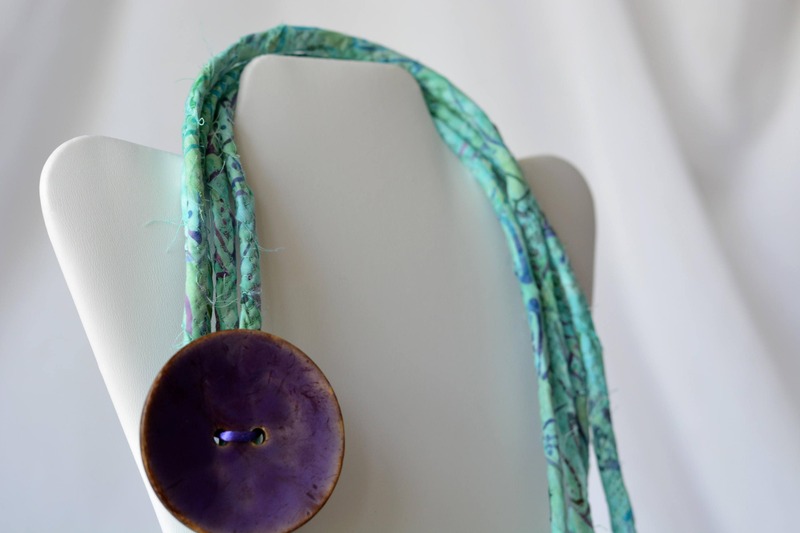 With Lovely contrasting Purple Ceramic Button! Handmade in USA! ............................ FREE Shipping to USA! Artisan Quilted Fabric Necklace: 120"L for 4-8 Loops/Strands! OOAK!! One Size Fits all! I hand wrapped this modern turquoise batik fabric around cotton line, which I then machine quilted with a decorative stitch. I used the raw edge technique with a little fray for a great shabby chic texture. This wonderful fabric is 100% cotton! Clothesline varies in width and has some inner coil twist, so these strands are not straight or even, but that is why I love them, each is unique. The necklace is flexible, and can be twisted into many strands for a cuff/bracelet too. 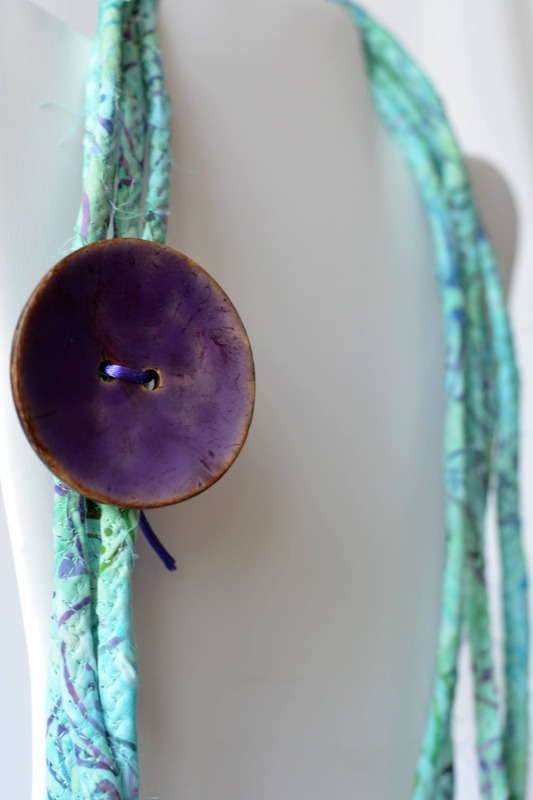 The button is tied to 2 strands, you can remove it or add more strands for a unique fashion statement every time you wear it. Great for the beach! Get it wet and air dry! Hand wash with cold water, air dry only.